Sales/Lettings Negotiators for our Carmarthen office. Due to expansion, we are looking for additional negotiators for our busy Carmarthen office, preferably with experience in the property sales/lettings sector. OTE earnings in excess of £25k. If you would like to join a successful company who reward their staff accordingly then email your C.V. to linda@westwalesproperties.co.uk. 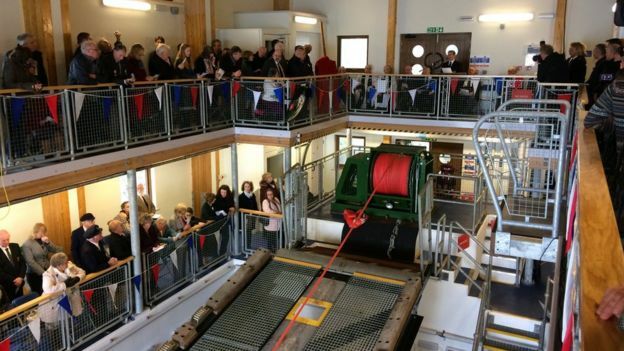 A double celebration has taken place at a Pembrokeshire lifeboat station. 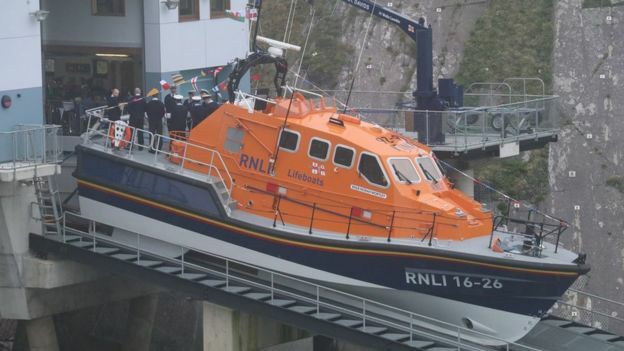 St Davids RNLI officially opened its £10m lifeboat station on Tuesday and named its £2.7m Tamar class lifeboat Norah Wortley. The new station and slipway took two years to build and are positioned in the cliffs next to the old station at St Justinian. About 200 people, including past and present crew, attended the ceremony. The Norah Wortley was funded by a bequest from Diana Symon from Devon and since its arrival at the station four years ago has launched more than 60 times, helping to rescue 50 people and save four lives. Champagne was poured over the bow as the lifeboat was officially named and handed over to Capt James Wilcox, lifeboat operations manager at St Davids RNLI. Capt Wilcox said: “The thanks of everyone connected to St Davids RNLI goes out to Diana Symon and all the other donors who made this day possible. 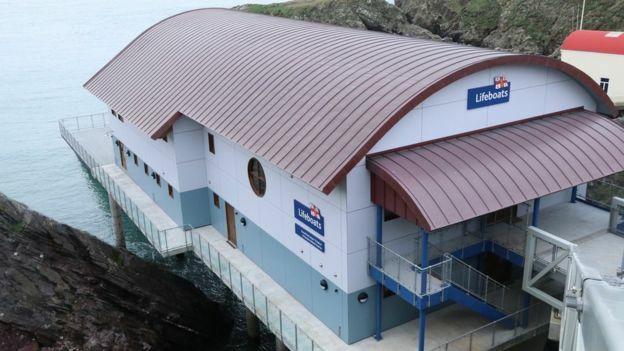 The new lifeboat station is one of the RNLI’s most ambitious build projects in recent years. It was part funded by the community and as well as housing the Norah Wortley, is home to the smaller inshore lifeboat. Tuesday’s ceremony also paid tribute to the past with the Watson class lifeboat, which served St Davids RNLI for 22 years until 1985, in the water for the event. Award-winning brand Auction House is reporting the second-best month in the ten year history of the company, despite the downturn in the private treaty market. The month of February saw an impressive 466 lots sold from 602 offered – a success rate of 77.4% – which raised a total of £57.7m in the process. Mick Haywood, Auctions Director said; “These figures mark a strong start to the year that bodes well for the coming months. Normality seems to have returned to the auctions market, sales rooms are busy, and careful guide prices are generating enthusiastic bidding. From our perspective, auctions genuinely seem to have weathered the storm. Mick says that the auctions market across the country seems to have recovered from the impact of the 3% Stamp Duty surcharge for landlords and second home owners, which came into force last April. He explained: “Sellers are keen to choose the speed and certainty of the auction method and buyers are genuinely eager to purchase. We are assisting more people buying for their own occupation – such as first-time buyers and improvers – who are helping to move auctions into the main stream. West Wales Properties considers opposing forces that are affecting the property market this spring. Use an experienced professional to show you the way. Fee-cutting or online-only estate agents can be very attractive to the uninitiated, but don’t be beguiled. You get what you pay for. 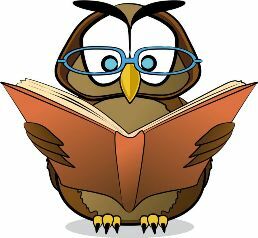 In this market a wise seller needs sage advice based on experience and know-how. Sellers will need the services of those who offer their clients skill and candour as well as respect – not the scant attentions of those who regard other people’s homes simply as fee-generating units of residence, or as another tick on the office dry-board score sheet. If you are selling and don’t just want to be a number make sure you get market appraisals from several reputable local estate agents and be certain to ask each one how long they have worked in the area. Also ask if they have worked through several market cycles and, most importantly, what they learnt from them. PLANS to build four floating hotel pods at Milford Haven Marina have been approved by Pembrokeshire County Council. The Port of Milford Haven says the four-star floating suites will form part of its £70m Milford Waterfront development. It hopes its plans will build on the ‘established retail, café and restaurant experience’ to create a vibrant waterfront destination attracting thousands more visitors to Milford Haven and Pembrokeshire each year. 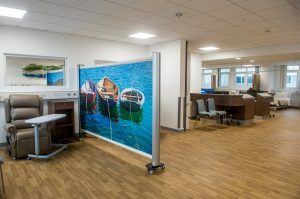 “Our idea was developed when we were looking at ways to quickly add to the existing bedstock in Milford Haven,” said Neil Jenkins, Destination Director at the Port. “It was also important to us that whatever was proposed would match the high quality offering already enjoyed at Milford’s four gold anchor marina; a highly sought after accreditation within the marine leisure industry. Work is continuing on developing this proposal and supporting business plan, and the Port hopes to officially open the suites before Easter 2018. THE CITY of St Davids, the smallest city in the UK, could soon be in the running to be named as the UK’s City of Culture for 2021. Pembrokeshire County Council is exploring the possibility of making the bid and a report is set to go before Cabinet on Monday, February 13. The deadline for registering an interest in applying is at the end of this month. It had not yet been possible to discuss the matter with all the key partners but steps are in place to do so as soon as possible. Although any bid will have to involve the local authority, the Council’s Director of Development, Dr Steven Jones, says that St Davids City Council would be an obvious lead organisation. The City Council is scheduled to consider the City of Culture opportunity tonight (February 6th). The report says that the aim of the UK City of Culture programme is to encourage the use of culture and creativity as a catalyst for economic and social regeneration, to promote the development of new partnerships, and to encourage ambition, innovation and inspiration in cultural and creative activity. Any area outside of London is eligible to apply. Part of the programme can also be delivered in a wider hinterland. However, bids with a strong central focus will be favoured. 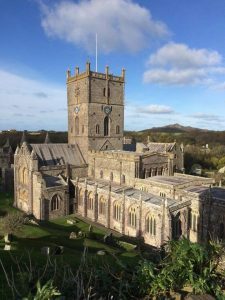 In making the case for St Davids, the report states: ‘St Davids is Britain’s smallest city; it is also a spiritual, historical and cultural centre of major significance in Wales. It is steeped in history and heritage with a remarkable asset base for its size, including for example a fine Cathedral, palace and a national gallery. ‘It has successfully hosted large-scale events such as the annual St Davids Cathedral Festival and the National Eisteddfod which came to the city in 2002. Dr Jones says that there is also a case to be made beyond St Davids, perhaps including North Pembrokeshire and as far as Fishguard. At next week’s meeting, Cabinet Members will be asked to endorse the principle of a Stage 1 application and to begin discussions with a number of stakeholders. The aim of the City of Culture initiative, which is administered by the Department for Culture, Media and Sport, is to ‘build on the success of Liverpool’s year as European Capital of Culture 2008, which had significant social and economic benefits for the area’. Derry, Londonderry was given the first title of City of Culture in 2013 and it was given to Kingston upon Hull for 2017. 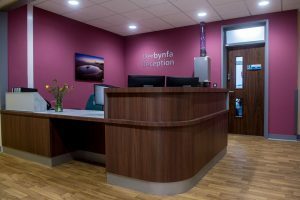 February sees the official opening of the New Cancer day unit at Withybush hospital. A new and fantastic facility for the people of Pembrokeshire. We should be very proud of the Pembrokeshire public contribution that made this possible in our beautiful county of Pembrokeshire. Many families in the future will receive the benefit of this first class facility and the extraordinary staff who work there. Well done to all concerned. This dream has come true. We now need a new project to focus on to give benefit to the people of Pembrokeshire. 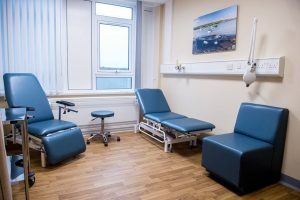 Take a first glimpse at some of the images taken at the Official Opening of the new Pembrokeshire Haematology and Oncology Day Unit. 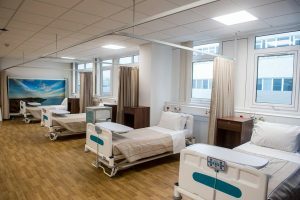 The Withybush Hospital CDU appeal charity was delighted to be able to part fund this important and exciting new development at Withybush Hospital and to fund the impressive glass art commissions which now adorn the walls. 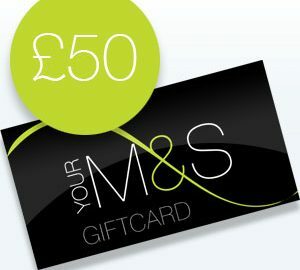 This quarter the £50 M&S gift card has been won by Ms Doncaster, who sold her property through West Wales Properties in Haverfordwest. We love giving back to our clients so to be in with a chance of winning the next voucher please get your questionnaires returned to our offices. A NEW study has revealed that Pembrokeshire is ranked 5th on a list of the happiest places to live in Wales. It ranks behind only Vale of Glamorgan, Anglesey, Powys and Wrexham. The survey asked people to answer on a 10 point scale, with 0 being ‘not at all’ and 10 being ‘completely’. The data was gathered from January to September last year. Fishguard and Goodwick Round Table presented the Paul Sartori Foundation with a cheque for a whopping £1,500 at their recent January meeting. The tablers met at the Pendre Inn, Fishguard, to hand the cheque over to Paul Sartori representative Ceri Price. 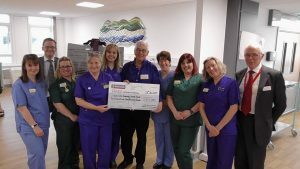 The money was raised through a series of fundraisers including a bed push collection at Withybush hospital, a street collection in St Davids and from the donations taken during last summer’s sea swim at the raft race in 2016. Local fundraisers are crucial to the Paul Sartori Foundation. If you have an idea for a local fundraiser, but would like some help and advice, the you can contact Toni Dorkings, the Foundation’s Community Fundraiser, either via email toni@paulsartori.org or by phoning 01437 763223.